When I saw that Crown and Glory had 25% off everything I had to make a purchase, I have been lusting after their headbands for ages and it took me a while to decide which one I wanted. I still have quite a few of their items on my wishlist! 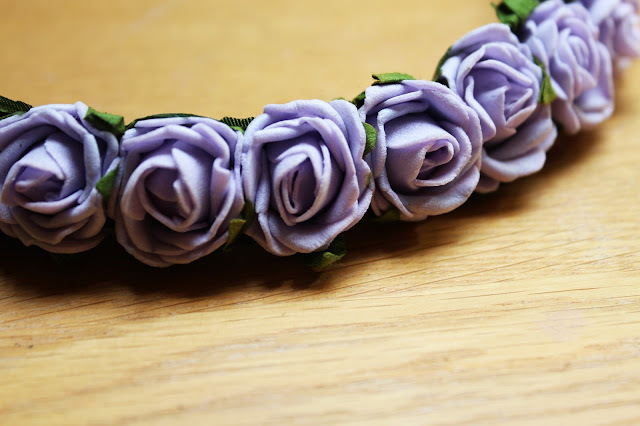 This is the smallest of their flower headbands and I'm glad I purchased this headband over the larger ones as I think this one is more subtle so I can ease myself in before buying the bigger ones as they are quite the statement piece! I was in between the lilac and the pale pink one but decided to go with the purple which I'm also glad I chose! I absolutely love this headband it's just so adorable, I have been compared to a bridesmaid a few times! I have been loving wearing it as it really makes my hair look a whole lot more interesting than normal! omg this is lovely! I've been after these floral head crowns for ages! 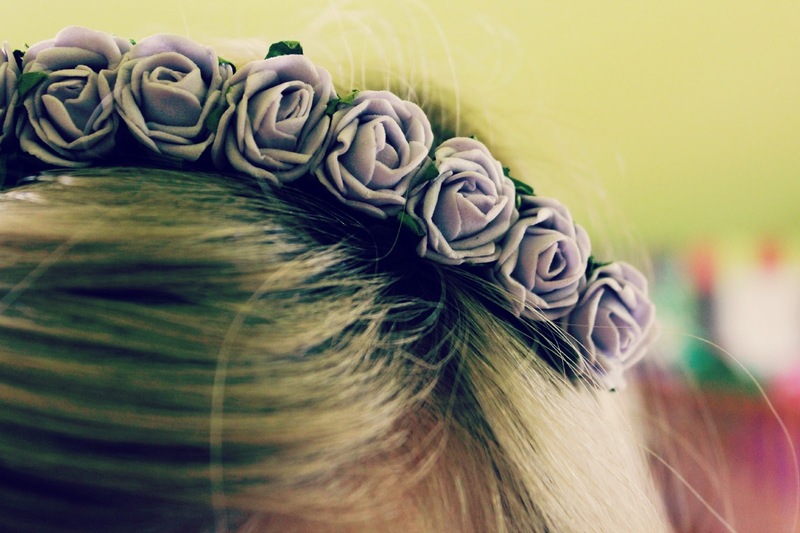 aw, such a pretty headband! 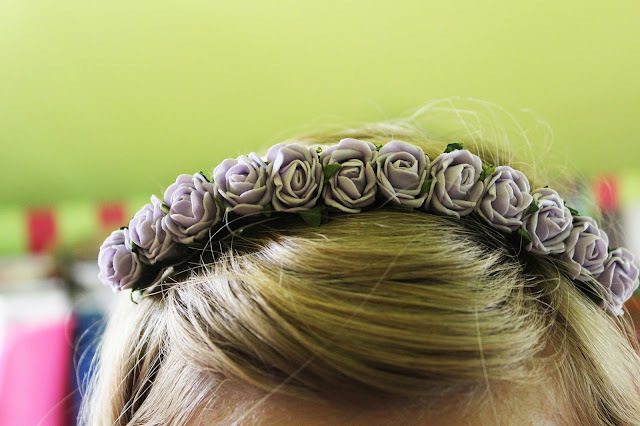 I really want a flower crown, but with incredibly short hair, they don't suit me :( waaaa! Oh this is so pretty. I have really curly hair and these things usually look pretty good in it. Attending a few music festivals this summer so might take a look at some more like this. Thanks for the style inspiration. Really enjoyed reading your blog.